As the name suggests Dental crowns bridges, a crown is a cap or covering for a tooth. It is used when your tooth is discolored, cracked or broken, heavily filled or if fillings have been lost. There are many different types of dental crowns available at beach smile dental in Redondo Beach. Dr. Ursula Parducho DDS will advise the best option depending on the location of the crown. They may recommend a ceramic, resin or sometimes even gold crowns. Our dentists use their expertise and modern technology to match the new Dental Crowns Bridges to the shape of your existing teeth and their color. our Beach Smile Dentist in Redondo Beach offer Same Day Crowns using CAD/CAM technology to design, produce and insert ceramic restorations. When would I need a Dental Crowns Bridges ? If you feel that your teeth are becoming more transparent or becoming darker in color, they may be wearing down. Your dentist will discuss the reasons behind this as it is important that they are addressed first. If your dentist recommends a crown restoration, then this crown will be fabricated to resemble the natural shape and strength of your existing tooth through the use of a ceramic material. If your teeth are heavily filled, they may be at risk of fractures or de-bonding of fillings. Frequent replacement of fillings can lead to loss of precious tooth structure. Repeated dental treatment on the same tooth may lead to deepening of the filling and subsequent nerve inflammation. To avoid these complications, Dr. Parducho may recommend that a crown is constructed before the filling becomes too large and remaining tooth structure is too short to support a crown. If your tooth is showing fine lines and cracks or you occasionally feel sensitivity when biting into sticky or hard foods, your tooth may have a deep crack or may be at risk of complete fracture. This is common for heavily filled teeth, especially where an amalgam filling is in place. Your dentist may recommend a crown to restore the tooth and protect its cusps from splitting apart and may suggest replacing any amalgam with a ceramic restoration. 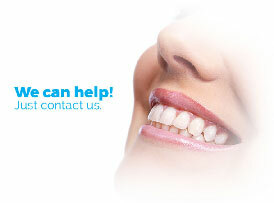 If a tooth is missing or lost, your dentist will discuss the options for tooth replacement. This may involve the placement of an implant or tooth supported bridge. If two or more teeth directly adjacent to the lost or missing tooth are at risk of fracture or are discolored and need crowns, a bridge may be a good option to replace the missing tooth. When the bridge is produced, a porcelain tooth (pontic) is fused to the two or more crowns on either side and once the crowns are fitted onto the adjoining teeth, the porcelain pontic appears to be emerging out of the gum. A bridge may be a suitable course of treatment for you if you are unable to have an implant due to issues with your overall health or dental health. Root canal filled teeth are prone to fractures, due to the nature of root canal treatment and hollowing out of the tooth in the process. Dentists highly recommend crowning most root canal filled teeth to protect them from fractures and further bacterial infections. A dental bridge is a ceramic structure, spanning the gap left by a missing or extracted tooth. A ceramic tooth (pontic) is fused between two or more porcelain crowns on either side of the missing tooth that serve as anchors. The anchor teeth are shaped to accommodate the crowns and then a bridge is bonded securely over these teeth. At Beach Smile Dental in Redondo Beach we will take an impression or a digital scan of your mouth and then using technology and training will design a ceramic tooth to insert between the two existing crowned teeth. What types of dental bridges are available? There are several types, and which one we recommend depends on where it will go in your mouth, your bite and also the aesthetic and functional considerations. A bridge will keep teeth from drifting into the space created by a missing tooth, helping preserve normal function and a normal bite for the jaw joint. In the most common type of bridge, crowns are applied to the two teeth on either side of a gap (where teeth have been removed). This involves joining three crowns, including a crown to fill the gap. Bridges are the traditional way of replacing missing teeth. A dental bridge is a false tooth, fused between two porcelain crowns to fill in the area left by a missing tooth. The two crowns holding it in place are attached to teeth on each side of the false tooth. Dental crowns improve the structure of the tooth. As time goes by, it’s not unusual to find our teeth are no longer structurally sound. Things like lost fillings, decay, chipping and cracking of the enamel can all lead to large-scale problems in a tooth’s surface. If the whole surface of the tooth is problematic but the root system is intact, a crown might be the ideal solution. Crowns are coverings for the entire visible part of the tooth. They are used when teeth are broken; old and large fillings are lost; teeth are badly decayed or severely discolored. They improve the appearance of your natural teeth and can brighten your smile. National Dental Care offers both porcelain and gold materials, taking into consideration where in your mouth the crown is to be placed. Best dentist... Really friendly, modern office, pleasant atmosphere, excellent staff.Dr Parducho diagnosed my grinding on the first visit!! I was with my previous dentist for years and he never told me about it.After Dr parducho had me fitted for a bite guard and since then I noticed how well rested I feel waking up with less tension.I found a great dentist that truly cares about her patients and has a great sense of empathy. Dr. Parducho is the best dentist I have ever seen! She and her staff are very professional. The office is a very nice environment. The doctor puts me at ease. She explains what she is doing. Her manner has a soothing effect and makes me relax. The doctor's assistants are very attentive. The doctor and her assistants help put me at ease, which reduces my nervousness. I will definitely see Dr. Parducho for all my future dental needs. She is the best dentist in town she does such a great job! The office is very clean which is a must when going to a dentist! The staff are very kind and sweet! As I said best dentist I've been to by far! I love this office!! From when you step into office there's a friendly smile. Dr.s hands are gentle on your teeth. VERY professional staff!! Love this office!! !Have been coming here for nearly one year. Staff is friendly, office is very clean. Front desk Jessy explain al my benefits that my insurance covered and what treatment was needed. Making appointments was easy and they open on weekends too. Dr Parducho was very soft spoken and great hands...didn't even feel the needle.She is the best dentist in the South bay. Highly recommended. Dr Parducho and her dental group completely changed my life! She is the most gentle dentjst i have ever had. Every time i visited the office im greeted by friendly faces that call me by my first name. This is a personalized attention that makes me feel at ease and never have i felt rush during my visits. She is my dentist for life. Dr. Parducho is THE excellent example of what a dentist should be. Kind and caring, patient and completely involved. If you have a fear of dentists, she is the best at calming your nerves. For a pain free experience combined with professional care and the highest standards, she is the person to see. i love this dentist, been going here for the past 8 years. Love the service. The staff are the nicest people you will ever meet, they treat you like family. By far the absolute BEST dentist in Redondo Beach. First i would like to thank Doc for taking care of my toothache and for sending me to the specialist and calling them to squeeze me in on the same afternoon to take care of my poor back tooth.Doc, sorry to hear about the lost of your husband. Please accept our deepest condolences for your loss. The Best dentist I've ever had!! !she did an amazing job fixing a damaged done by another dentist. After several bad experiences I was referred to this office by my roommate who just loves this dentist and her staff. Doctor went the extra mile to get me out of pain and to fix my broken tooth. They made me feel comfortable during all my visits and the wait was never long. If you are looking for a new dentist with friendly staff, modern office and very clean then this is the place. I have been going here for years and will be going for years to come. I live about a hour away during non peak hours. The hour drive is worth the service and care I get from Dr Parducho!